Huawei Mate 20 Porsche Design Could be in Works - Playfuldroid! Well-known industry Roland Quandt had revealed in the previous month that the Mate 20 is codenamed as “Hima” whereas the Mate 20 Pro has a codenamed of “Laya.” Today, Quandt has revealed that there is a Huawei phone that is codenamed as Everest. 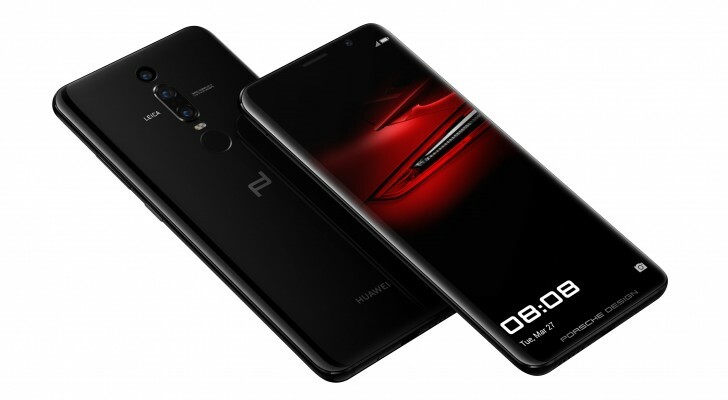 It is speculated that it could be premium Porsche Design version of the Mate 20. According to Quandt, the mysterious Everest device is being internally referred by Huawei’s own employees as “EVR-XXXX.” As of this writing, there is no information available on the specifications and features of the rumored Everest handset. Like the Mate RS Porsche Design premium flagship phone that was launched alongside the Huawei P20 and P20 Pro smartphones earlier this year, the Mate 20 Porsche Design come equipped with an internal storage of 512 GB. Probably, it may feature 8 GB Of RAM. Also, it may sport a triple camera setup like the Mate 20 and Mate 20 Pro handsets. The Mate 20 Porsche Design is also speculated to house a curved AMOLED screen with an in-display fingerprint reader. There is a possibility that Huawei may use a notch-less screen on the phone. It may not feature dual fingerprint scanner like the Mate RS Porsche Design. The Mate 20 Porsche Design may debut alongside Mate 20 and Mate 20 Pro on Oct. 16 and it may carry a price tag of around $2000.